More love for the GP32. 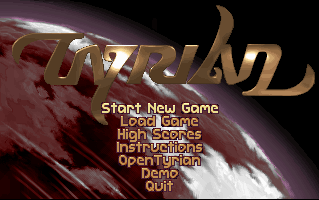 This time the classic DOS arcade shooter Tyrian or in this case OpenTyrian. The GP32 version mode runs fullspeed at 133Mhz but with out music. I also have a Dingoo A320 port too. I know there already is an A320 version but I did my own version of it - which is faster and has a nice full screen display. This will be available shortly. UPDATE: I've updated the Binary Package as I originally included a slightly out-of-date executable for the BLU+ version. The FLU/BLU version was correct. 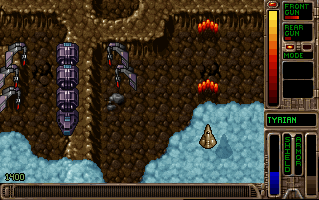 The BLU+ version is fixed in v1.01. You should download the Binary Package again if you are using the BLU+ version. Sorry Slaneesh, but can you release our OpenTyrian version for Dingoo ? I simple love this game, and played a lot the Dingoo actual port, but the music is not good. Any news on your dingoo port?